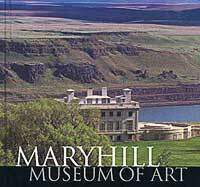 Let me tell you about a special place: Maryhill Museum of Art. This is not your typical art museum set in the middle of a metropolitan area but it houses a world-class, if not just a bit eclectic collection. The museum and grounds are very unexpected, rising out of the semi-arid wheatfields and basalt cliffs on the banks of the Columbia River in southern Washington, they seem to be an oasis. Apart from a couple of wineries, there is not much for 20 miles in either direction. The museum is housed in a large concrete, French chateau-style building that was to be the home of Samuel Hill legendary road builder, entrepreneur, Quaker, pacifist who befriended a group of very remarkable women who helped him turn his imposing building into an art museum. 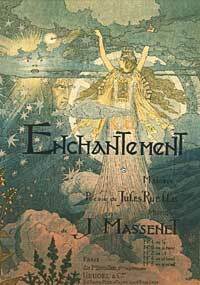 From the prince of castle-nowhere he became a benefactor and discerning art collector. First among his friends, there was modern dancer Loie Fuller, whose French connections and friendship with Auguste Rodin provided the seed for the collection. Though her encouragement, Rodin offered several works, studies, and watercolors to the little museum in the desert. Through pre-WWI connections, Sam was introduced to and later befriended Marie, Queen of Romania (whose paternal grandmother was Queen Victoria and maternal grandfather was Tzar Alexander II). She brought her considerable notoriety and her Byzantine styled furniture, royal artifacts, and mementoes to be a permanent part of the museum. It was Queen Marie who dedicated the museum at it’s opening in 1926. The troika of Sam’s friends and museum founders was complete with San Francisco sugar heiress Alma deBreckville Spreckels. Alma was a friend of Loie Fuller and leveraged her influence and wealth to bring several European and American masterpieces into the collection, though her legacy was acquisition of the Theatre de la Mode, a set of French haute couture mannequins and tableaux created in post WWII Paris. Alma continued her interest and contribution to the museum long after Sam Hill’s death. Well, the history of the museum is all well and good, but “is it art?” Though the collection also weaves from native art and artifacts, through international chess sets, to contemporary painting and sculpture, I must admit that there are some very surprising and unique pieces that make up a remarkable collection. Unfortunately, my favorite exhibition is on loan for several more years: the American painter R. H. Ives Gammell’s magnum opus, a series of allegorical paintings based on Francis Thompson’s poem “The Hound of Heaven.” This series of 23 panels and a large body of Gammell’s other work are in the museum’s permanent collection. Gammell was a 20th century classical realist though The Hound is filled with mythological surrealism and symbolism. Each panel is technically well executed, strongly graphic yet aesthetically pleasing if one is not entirely swept up into the cosmological mysticism of the piece. Another favorite is The Dream of the Shulamite. 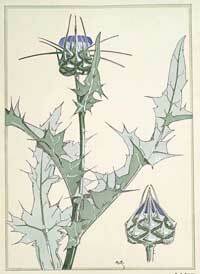 Now for the shameless self-promotion: I am the designer and custodian of the website for Maryhill Museum of Art. Since being drawn into the lush cool gardens (where peacocks rule) on a hot summer day shortly after moving to the area, I have since become a supporter. I am very pleased to be associated with such an eclectic little place. Linda Brady Tesner’s book: Maryhill Museum of Art is a well-written and beautifully illustrated overview of the museum’s history and it’s collection but it can’t beat a visit to the real thing.